If the Constitution is supposed to protect us from dictators and fascists, why are anti-Trumpers so anxious? In this week’s boralogue, John shows that those who are worried about a fascist takeover of America by Donald Trump aren’t turning to the Constitution for help because they have spent the last 20 years reshaping it to say whatever they want it to say. A living, breathing document of relativistic truths offers no protection for anyone. How did our Constitution morph from its original meaning to what we are seeing today? 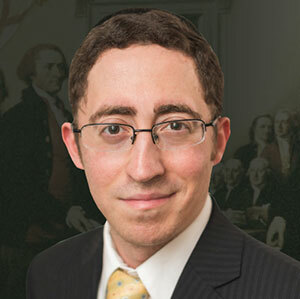 Daniel Horowitz (www.conservativereview.com), Senior Editor at Conservative Review joins us to discuss judicial activism where courts are creating rights for classes of people that infringe upon rights that were established long ago. It is “social transformation without representation” and reform is needed quickly if we are going to survive as a country. John finishes up the show explaining why those on the Left are behaving the way they are both before and after President Trump’s speech this week to both houses of Congress. This week on Section 6, John continues his discussion on Saul Alinsky and relates that to what’s going on behind the scenes in Europe and the future of the E.U.